Today I was at a client which had a question among others about blocking the automatic installation of Internet Explorer 11.0 on clients which needed to run on Internet Explorer 8.0 only. I was there integrating some new things in MDT when the question came from the person responsible for deploying the machines at their site. Since the company was not running WSUS and had not configured GPO’s to regulate Windows Updates. 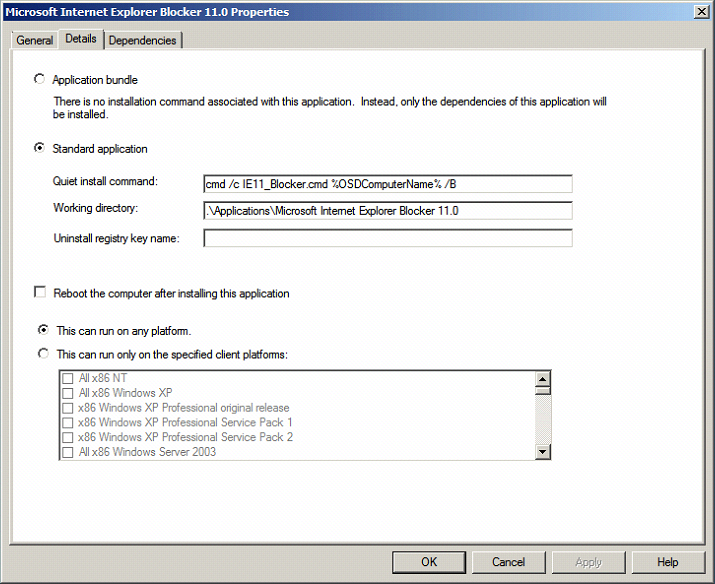 I needed to find another solution to prevent the automatic installation of any Internet Explorer version higher then 8.0. 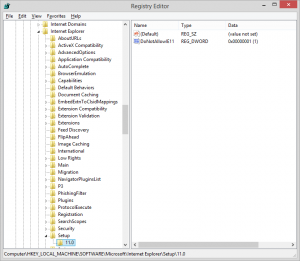 Now to prevent the installation of any unwanted version of Internet Explorer during your deployment process (when your machine is already running Windows and is connected to the internet, the polling for new updates starts right away). 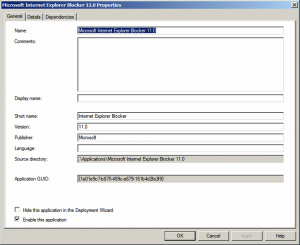 Just incorporate the IE##_Blocker.cmd as an application with source files into MDT. 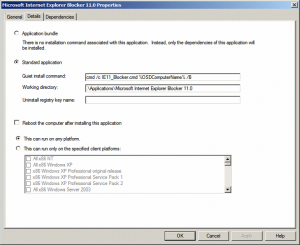 cmd /c makes sure, that a command line is executed, IE##_Blocker.cmd speaks for itself, and since the variable %OSDComputerName% is known for the length of the deployment it can be used instead of the real hostname, and the /B switch tells the CMD to make a registry key into the registry to block the automatic installation of Internet Explorer. Alternatively you may choose to write this regkey yourself, automated via a script, command line etc. do it via GPO, or implement Windows Server Update Services.